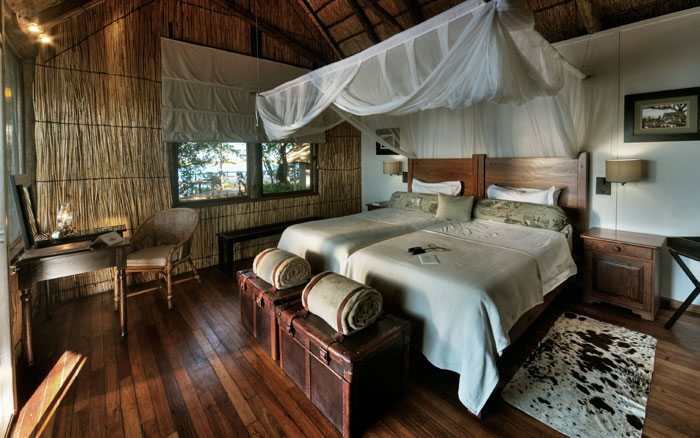 Xugana Island Lodge overlooks the permanent lagoon that gives it its name. 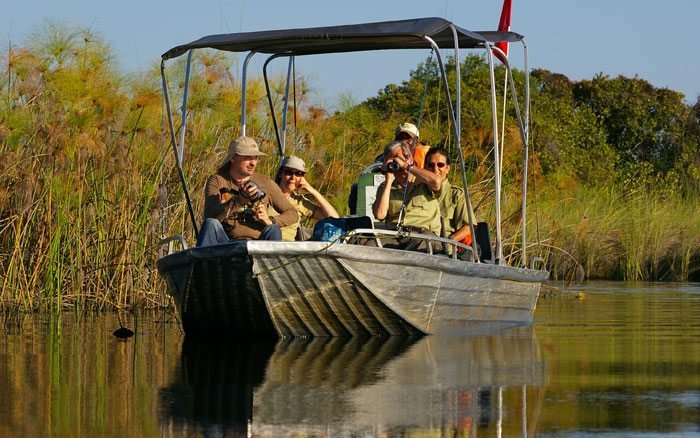 Set in the Shinde private concession north of Moremi, it’s a prime wildlife site of the Okavango Delta. 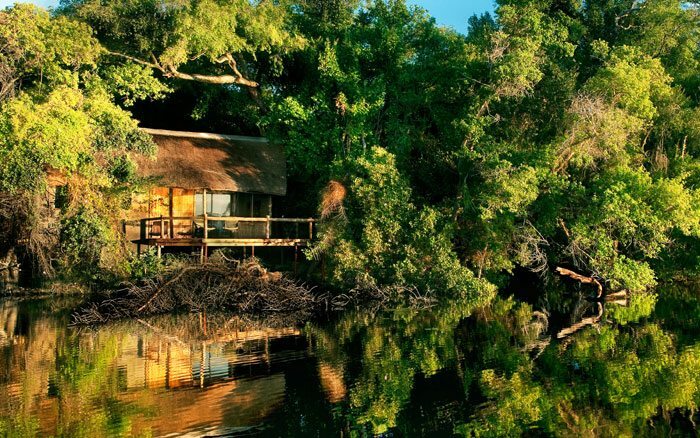 Xugana Lodge is one of the oldest in the Delta, and accommodation is in cosy chalets made from local materials. 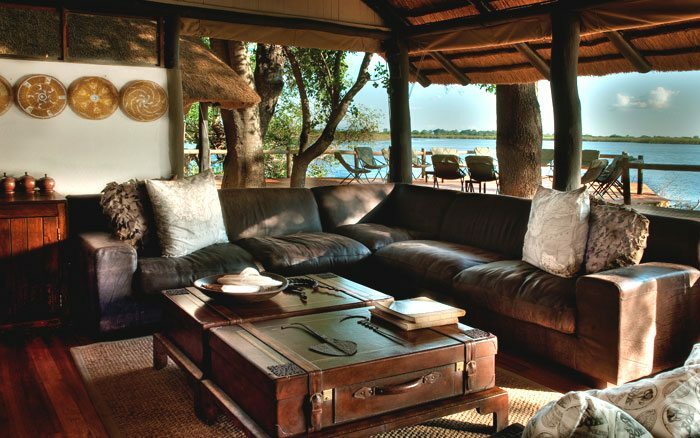 The thatched roof, reed walls and wooden floor lend character and fans help keep the interiors cool. Beds face the sliding glass doors, giving you ringside views of the Xugana Lagoon. A door to one side leads into the bathroom with a flush toilet, his and hers hand basins and a shower. 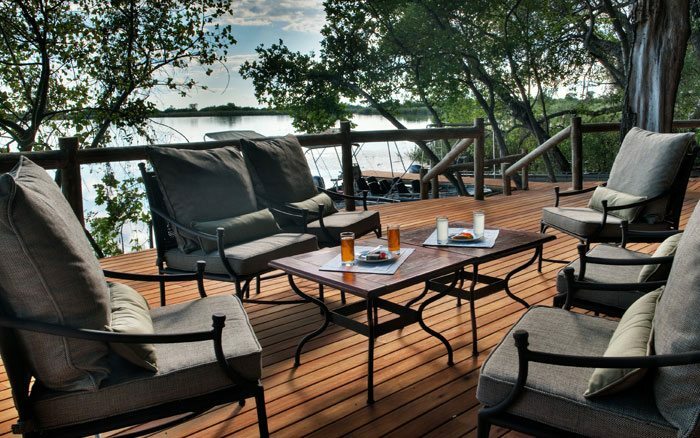 Each chalet has a viewing deck, where you can sip a coffee and watch the ever changing lagoon scenery. The lounge-bar has inviting leather sofas and tables made from old suitcases. Walls are decorated with local artwork and there is a real safari feel. There’s an adjoining dining area and the whole building is shaded by thatch and large ebony trees. It’s open to the front, admitting a cooling breeze and letting you enjoy the views while relaxing. The camp is set in well-established gardens and a short stroll will bring you to the swimming pool, a welcome feature on a hot day. You’ll be out and about from an early hour, exploring the waterways by motorboat and mokoro, each offering a different experience. These activities are complimented by guided walks and a chance to get even closer to nature. 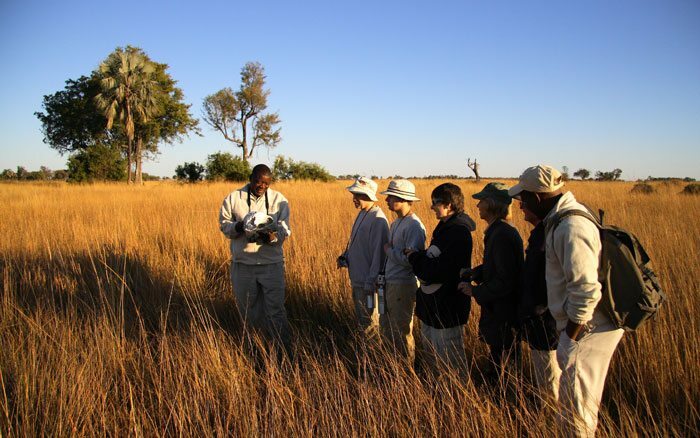 At all times you’ll have the benefit of your guide’s extensive local knowledge and experience to ensure that you make the very best of your time in the delta, learning about the plants, birds and animals that you see and gaining an in-depth understanding of this special region. Children aged 6 years and over are welcome. Families with children aged between 6 and 11 need to book private activities. One child aged under 12 can be accommodated in a tent. 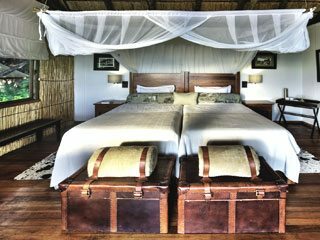 The rooms have a charmingly rustic feel, with reed walls, wooden floors and thatched roofs, yet have the benefit of mod cons like fans, charging points, tea and coffee makers and en-suite bathrooms.